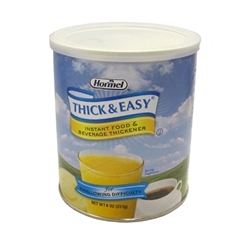 Easier, more appealing, and safer for swallowing - Three easy reasons why Hormel Health Labs' Thick & Easy® food thickeners are the products of choice used by thousands of healthcare facilities for their swallowing impaired patients. 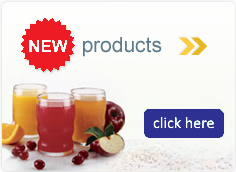 Our thickeners are so versatile that it is now possible to thicken all types of hot & cold foods, liquids and supplement drinks without affecting the taste. Simply add our specially formulated thickeners to your desired food or liquid, and almost instantly, they become the proper consistency for safe swallowing.